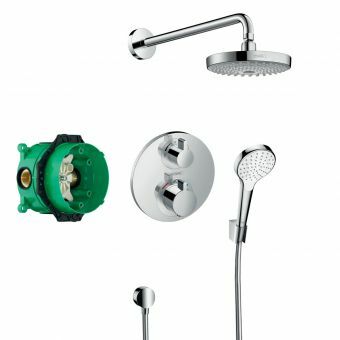 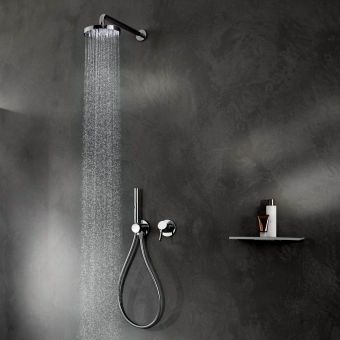 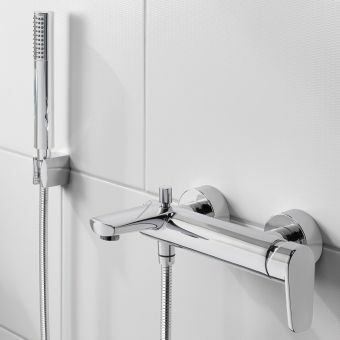 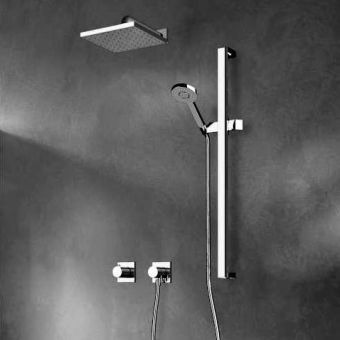 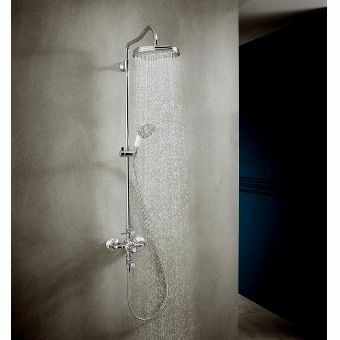 Expertly crafted to the highest of standards expected from industry leaders Keuco, the IXMO Set C is a fully comprehensive shower set that colates all required components for a sleek, lavaish and readily presentable shower space. 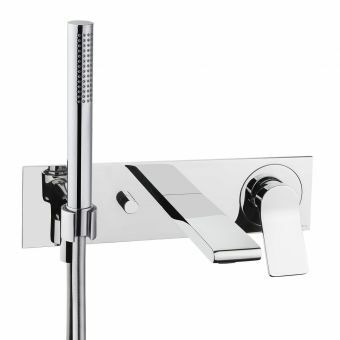 Given a gleaming, chrome finish, the IXMO series has been created with simplicity in mind. 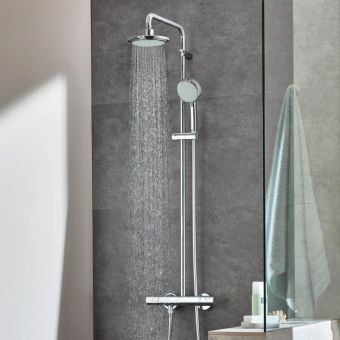 Easy to control, an exact balance of water pressure and temperature can be measured every time to give you the comfort you deserve when you step into the shower space. 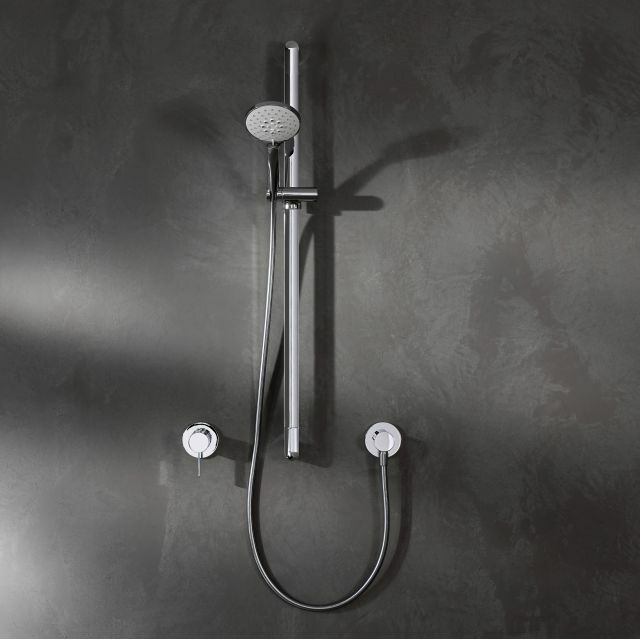 Pictured here in a modern and minimalist setting, IXMO is tailor made for inclusion in the interior that embraces contemporary designs, ideas, materials and arrangements. 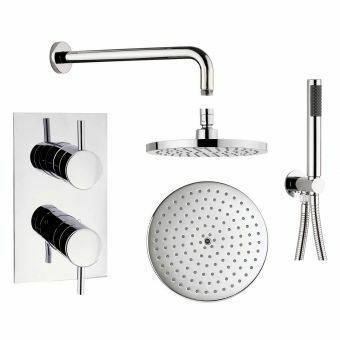 Cool chrome pairs naturally with glass and tiles, making this set ripe for inclusion in the walk in shower space, or even the wetroom. 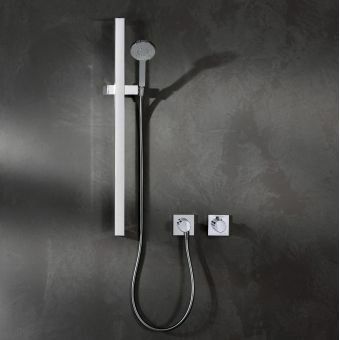 When installed, the bathroom area is greatly invigorated with a fresh, contemporary aspect. 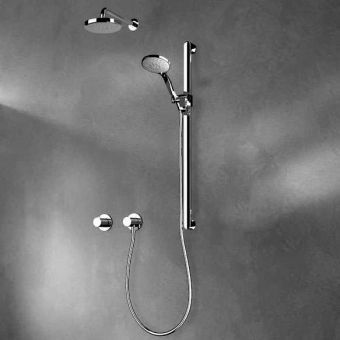 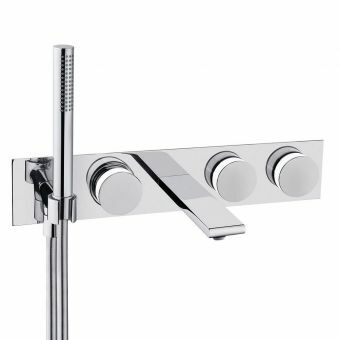 Attached to the wall, the chrome mounting bar allows the unit to be easily adjusted according to the height of the user.